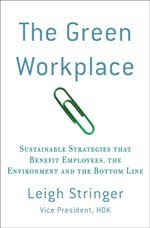 The Green Workplace: Energy Star Not So Super? Bad news for Energy Star: in it's October 2008 issue, Consumer Reports magazine criticizes the program. In the article "Energy Star has lost some luster" the magazine shares information on energy testing of appliances, with the basic finding that EPA's testing does not adequately reflect how products are used. The article also identifies loopholes in the process, claims that qualifing standards are too lax, and that testing procedures are not up to snuff. Additionally, it points out that manufacturers are allowed to test their own products. EPA struck back: "EPA finds fault with Consumer Reports Energy Star article"
Very interesting...and highlights the importance of third-party review systems. This has been an interesting and important topic lately! We have some clients that are trying to understand more of the changes as their products impact how many LEED points would be received for a given project. Of course, projects needs to meet the prerequisites of Energy Star to qualify for LEED; however, the standards are changing for various categories (e.g. windows, appliances, lighting, etc.) - all at different thresholds and timeframes.